Safety and security within your Association is not something that should be taken lightly. While Associations are not set up to be the entity responsible for the homeowners’ security, communities across the world are continuously striving to find ways to provide additional security to both homeowners and their visitors/guests. These ideals, along with budgetary constraints, are a battle that many Associations face each and every day. Within this post, we will break down some ideas to better protect yourself as an Association and as a homeowner. Lighting is a necessity. For any Association having a lot of common area space, roads, parking lots, and amenity areas - it is important to keep these areas well lit. When an area is well lit, it can be seen more easily by others, which also generally decreases the chances of illegal activity. Contact your power company to set up a walk through. They can provide recommendations on where lights need to be placed in your common areas. If it’s a road or other area not owned or maintained by the Association, contact your city or county representative to put in the request for additional lighting. 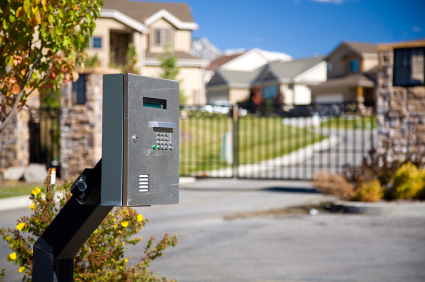 Gates, cameras, and entrance swipe cards go a long way for Association security. While these items do not guarantee that you can keep the "riff raff" out of your Community, it does make it a lot more difficult for uninvited guests to gain access. For communities that do have gates, it is important that entrance gate codes are not published. 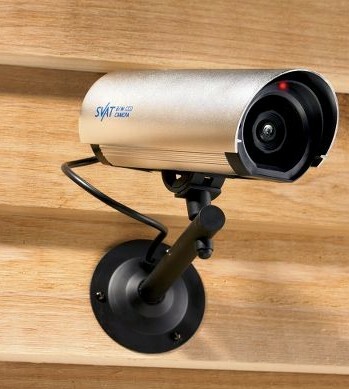 Cameras are also a deterrent for criminals because, even though no one may be watching them at the time, these cameras can pick up their every move. If you currently have or decide to obtain these options for security measures, it is important to work with a qualified security company. They can provide back up to these systems and can the supervision needed to properly maintain these items. Also check with your legal counsel to confirm appropriate signage related to the systems that your community has in place. A less affordable option for an Association is the hiring of a security guard or company. These security officers can be off-duty police officers or those screened and hired by security patrol companies. These also do not guarantee no illegal activity will occur but knowing that someone is always in the community watching may encourage anyone looking to perform a crime to go elsewhere. 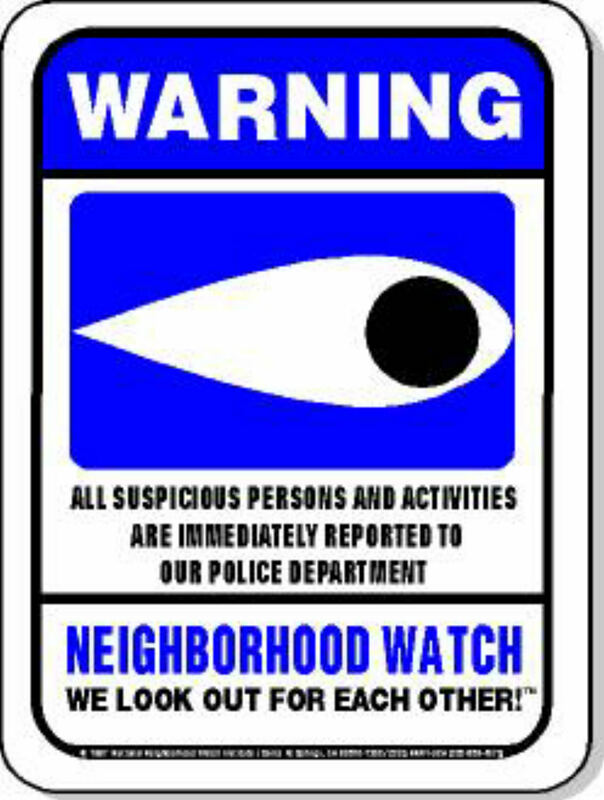 Neighborhood Watch has also become a huge benefit for Associations. If enough members of the community show interest in a Neighborhood Watch, then a police officer from your local precinct will meet with those interested to officially establish the Neighborhood Watch for the community. 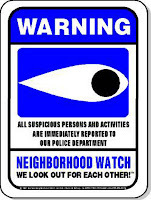 The benefit of this is prominent signage throughout the community along with a commitment of neighboring eyes who will contact police in the event of suspicious activity. As a homeowner, there are also many things you can do to protect yourself from crime. Lighting comes up again as a huge importance. Never make it look like your home is empty. Criminals flock to such homes. Leave exterior lights on in the areas that burglars would attempt to break in (around doors, windows, etc.). Leave a few lights on in your home to make it more difficult for a burglar to hide if they do happen to make it into your home. Alarm systems may be the most beneficial option for your home. 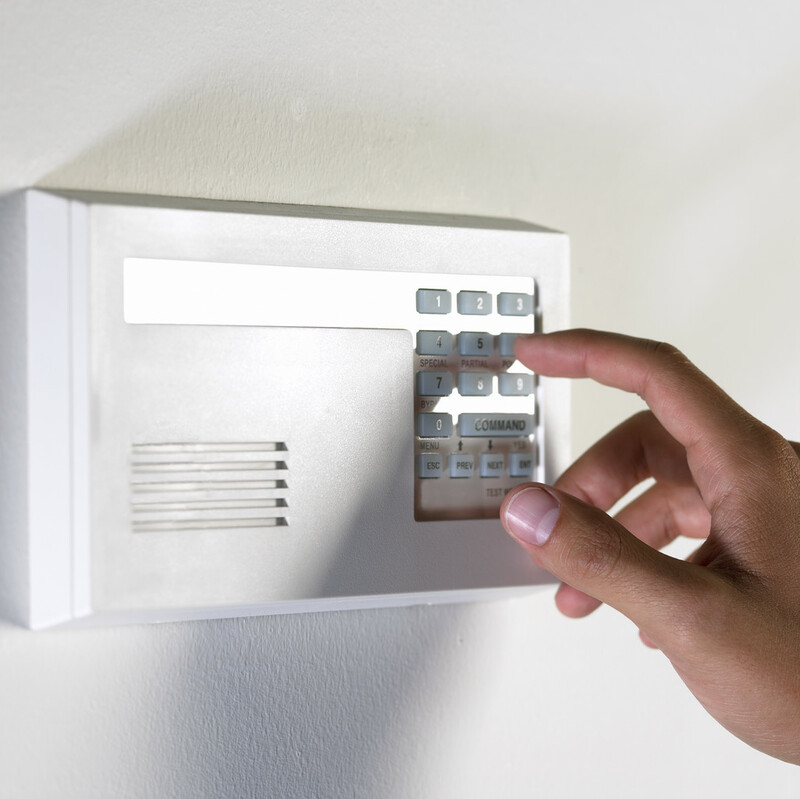 Depending on your alarm company, they’re generally set to go off whenever someone breaks into a door or window and also if someone opens a door and does not have the correct alarm code. These alarm companies have the ability to contact the police once the alarm is signaled so the authorities can get there as quickly as possible. Make sure to call 911 should you see any suspicious activity whatsoever. This could even relate to a neighbor of yours in the Community. If there is ever an occasion where you feel unsafe due to someone else, the police is always the best and fastest option. To get as much detail as possible, the police do generally ask for your name and contact info but you always have the option to not give them this information and call in as anonymous. Most municipalities also have a website for their police departments. Many of them have links where you can give details on suspicious activity and request additional patrol in your area. The more people who do this generally results in more police presence. Be sure to review municipal websites to see what options you have for safety as well as checking for suggestions from your police department on other ways to keep you and your home safe and secure. 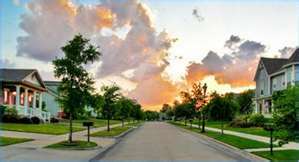 Keep these tips in mind - both as a homeowner and a Community - to keep the place you call home safe! Every Community Association - no matter how big or small - must maintain an extensive insurance policy to protect their property, their assets, their employees, and, most importantly themselves. 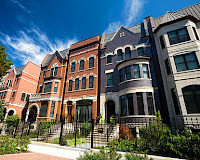 Whether you’re part of a homeowner association, property owner association, townhome association, condominium association, or office complex association it is very important to make sure you are fully covered and protected. When thinking of insurance for Associations, more than likely, the first thing that comes to mind is coverage to protect the "common areas" that are the responsibility of the Association. In a homeowner or property owner Association this may include the amenities such as pools, tennis courts, clubhouses, etc. With townhomes or condo communities, it may be a little more extensive, when contemplating the building(s) themselves, roofs, parking lots, amenity areas, etc. 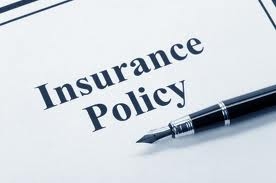 It is crucial that these things be contemplated and included in the Association’s insurance policy. In the event of a large loss, the policy should provide coverage for a potential rebuild/repair, keeping homeowners from having to dig into their own pockets. What many Association members do not realize is that there are several other insurance coverages that an Association needs to both be aware of and carry. These other coverages include: liability insurance, fidelity insurance, Directors and Officers insurance, workers compensation insurance, and financial insurance. Liability insurance protects the Association should there be any type of occurrence with a third party as it relates to the Association. A good example of this coverage - someone slips and falls while on the Association’s property and then decides to sue the Association for recovery. 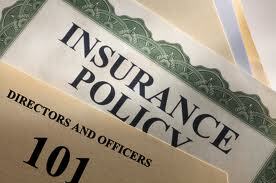 Fidelity insurance is sometimes also referred to as crime insurance. This protects the Association in the event that its property or money is stolen. At Access Management, we make sure that every property carries fidelity insurance, so that each Association is even more protected. Directors and Officers insurance protects the volunteer Board members for their service on the Association's board . If a suit is brought against the Board or individual board members related to their service on the Board, this policy would step in, verifying that the Board was working in the best interest of the Community. Worker’s Compensation insurance is insurance that Associations should have if they have vendors or contractors working directly for the Association, or if they have any homeowners doing volunteer work (such as putting up decorations). This coverage also protects the Association should an employee get injured while working in the Community. It’s also important to ensure any contractor that isn’t a direct employee of the Association, hold their own worker’s compensation policy. This will limit the liability of the Association, since the contractor’s policy will step in should an employee get injured while on the job. Finally, financial insurance is in place by the banks to protect your money. FDIC or Federal Deposit Insurance Corporation guarantees the safety of the deposits within the Association’s bank account. Access Management works only with banks that provide this FDIC insurance and are currently financially stable banking institutions. Here at Access Management, we specialize in making sure our communities are fully aware of the insurance coverages that they need to have in place and work with only the best insurance agencies to provide these coverages. If you’re a Board member for your Community or plan to be in the future, take the time to make sure your Association is fully protected. You won’t regret that you did. Due to the economic downturn over the last several years, we have seen many changes within the home finance market - including the decreased ability for many homeowners to afford to pay the mortgage on their homes. This type of situation is unfortunate, but for now - it is a reality that many homeowners have had to face. As a result, people often do not contemplate how situations such as these can affect an Association. The fact is - Associations are also highly affected by economic downturns. Associations have come to realize that if a homeowner is behind on their mortgage payments, it usually means that they are behind on other bills as well - including Association assessments. These missed payments affect the financial stability of the Association. The most beneficial option for anyone going through such hardship is the ability to sell their home. These days, if someone is able to sell their home for a profit - or just break even - it is great news. If a home does end up selling, the unpaid assessments are collected at closing (and are generally paid by the seller). In a perfect situation, the seller does not owe any past due assessments and can sell the home without having to bring additional money to the table. 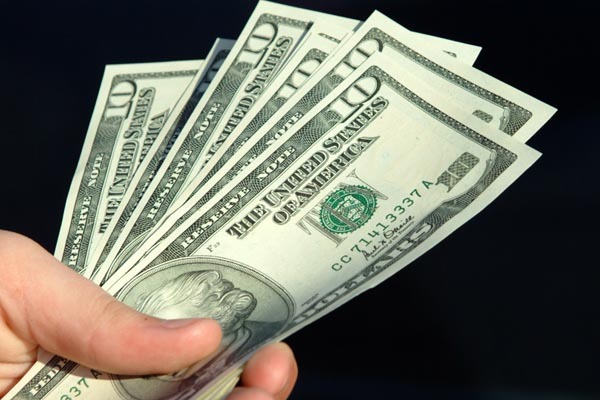 In either scenario, the Association is usually in good shape and will be able to collect this money. When someone is going through financial hardships - which also impact their home - there are several different outcomes that ultimately affect the home and the Association. In most of these situations, the Association does not fare as well. 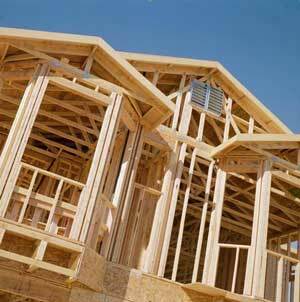 These outcomes include: foreclosure, short sale, and bankruptcy. Foreclosure is a word that we seem to hear more and more frequently. This occurs when someone does not make their mortgage payments, so as a result, the lending institution takes the house back. Questions always arise as to how past Association assessments are handled in the event of foreclosure. There is a lot of detail that goes into the collections efforts made by the Association to try to recoup these unpaid assessments - but all such efforts are generally for loss once the home moves to foreclosure. At that point, the lending institution takes over the home and all amounts owed to the Association are written off by the Association. From the date the foreclosure takes place, the acquiring financial institution is then responsible for Association assessments until they are able to sell the home. 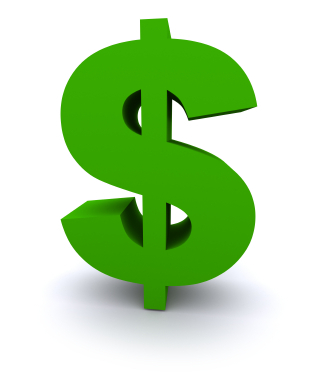 Lenders generally always pay the portion that they owe (i.e. the amount since they foreclosed) when they sell the home but there is really no practical way to compensate for the loss funds due by the homeowner prior to the foreclosure. Short sale is when an owner negotiates with their lending institution to obtain approval to sell their home for less than what is owed on the home. In the event of a short sale, any outstanding Association assessments are still owed and payable at closing. However, a lot of times in a short sale the seller does attempt to limit any additional costs that may be related to the sale. This could include bank fees, Realtor commissions, and Association assessments. Owners frequently contact the Association to try to work out a settlement to pay less than what is actually owed. If this offer is reasonable it is generally recommended that the Association accept the settlement. This is due to the fact that if the settlement is denied, there is a good chance it will cause the closing to fall through - which then increases the chances of foreclosure and a complete loss of the unpaid assessments. While the homeowner will still be personally liable, the probability of collections does decrease, and "some money is better than no money." Bankruptcy is a situation that may not result in a change of ownership, but it does greatly affect the Association. There are two types of bankruptcies that are generally seen with homeowners: Chapter 7 and Chapter 13. In a Chapter 7 bankruptcy, the debt of the homeowner is completely wiped off. This means that the courts approved for all debts to be removed in order to help out the person in financial trouble. This debt does include any past due Association assessments. Just like a foreclosure, that past due amount must be written off by the Association. In Chapter 13 bankruptcy, the debt is reorganized in order to make the debt more affordable. In this scenario, the past due Association assessments are generally included in that reorganization and can still be collected. 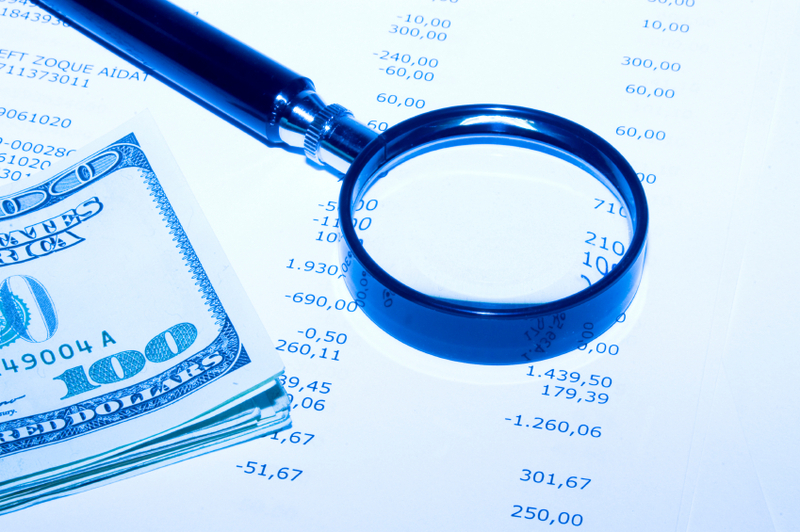 Because of the above, one can easily see how unpaid assessments can affect the Association. Can you imagine the impact of multiple financial hardship situations within just one Association? As a result, it is so important for those in good financial standing to continue to pay Association assessments on time. This will help keep the Community from struggling any more than it already is! “Indemnity” is when someone promises to insure someone else against certain situations. In terms of community association management, an example of this would be when the Association carries the expense of protecting the property manager against homeowner allegations of unfair treatment. 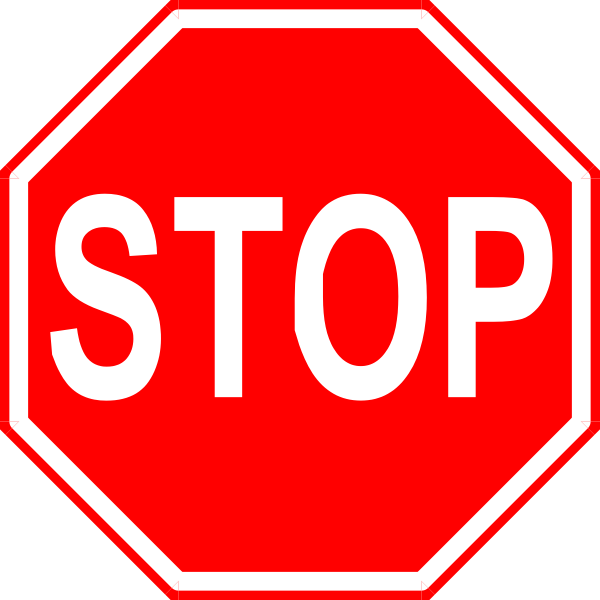 Two recent Georgia court decisions address when such protection is enforceable. In Kennedy Dev. Co., Inc. v. Camp, an indemnity provision was ruled invalid. The developer in an upstream development had the rights to use amenities downstream, but was obligated to maintain the downstream detention pond. 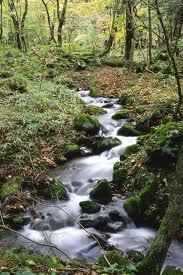 The developer assigned these rights and responsibilities to the upstream HOA. The property of one of the owners in the downstream HOA was damaged by increasing storm water drainage, and filed a claim against the developer. The opposite situation occurred in JNJ Foundation Specialists, Inc. v. D.R. Horton, Inc., where the one providing the indemnity, not the one receiving it, was at fault. In this case, the contractor failed to have sufficient traffic controls in place during a project, resulting in an auto accident. The accident victim filed against the owner of the land where the work was being conducted. 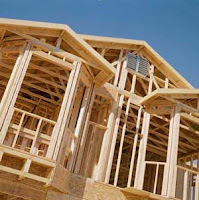 The contract between the real estate owner and the contractor had a provision requiring the contractor indemnify the owner for “any claims” connected with the construction work. This indemnity agreement did not limit the contractor’s liability to claims for which it or its subcontractors had been at fault. The contractor had to find some other source of funds to cover the claim against the land owner, as his insurance policy only handled negligent acts, not breach of contractual duty. When you see a broad indemnity provision in a proposed contract, consult your attorney before executing the agreement, and modify the indemnification to provide that some act of the contractor must have contributed to the harm. 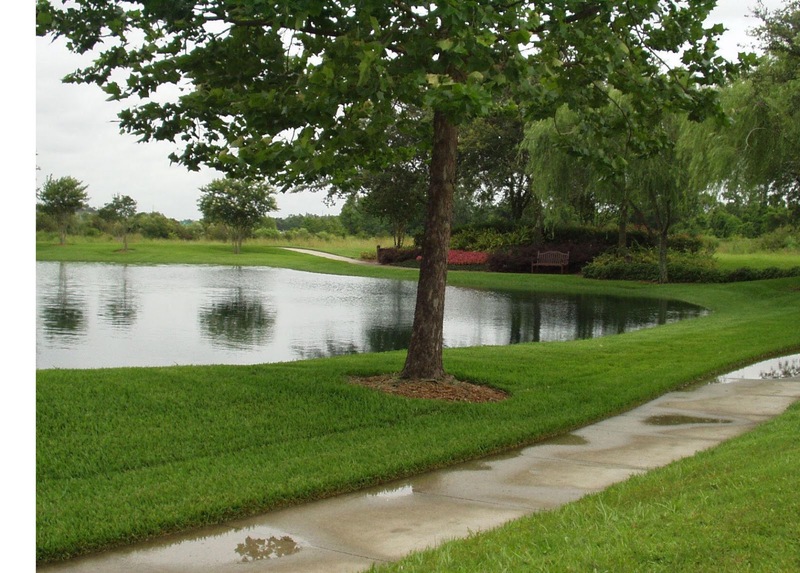 Requiring new developments to assume maintenance responsibility for detention & retention ponds has become standard practice for local municipalities. These governing agencies benefit from shifting the financial burden from themselves to Homeowner Associations. This is perhaps an easier pill to swallow for a new community, who can take over the management and maintenance of all aspects of the community from fairly early on in the process. But what happens when a county attempts to shift responsibility for pre-existing systems in older communities? This would be similar to any other county ordinance that a homeowner violates, with the Association pointing to the government as “the bad guy” when requiring compliance. 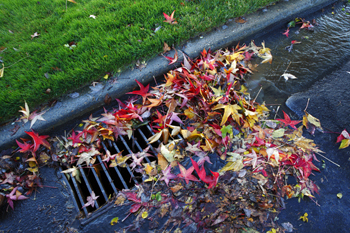 Although this decision is not considered “case law” unless it is appealed, the reasoning behind the decision has been upheld in other parts of the country, and Associations should plan their financials accordingly to avoid being liable for property damage caused by flooding, sinkholes, etc. Once summer comes to a close, it seems like the remainder of the year just flies by - with one holiday rapidly followed by the next! While this is obviously a very fun and festive time of year - there are a few things to take into consideration when getting your home all decorated for the holidays. With Halloween over and all the spooky decorations taken down (hopefully!) and stored away, we are now all focusing on holiday decor. If you live within an HOA or COA, there more than likely are covenants related to when you can put up holiday decorations, probably when the decorations must be taken down, and possibly even some limitations on the extent of your decorations. It's up to your Board to fairly enforce these covenants. It probably isn't the intent of any board member to be viewed as being a 'Scrooge' when it comes to regulating holiday decorations - however, it is an important duty that these board members hold. After all, no one wants a neighbor who still has Christmas lights up and an inflatable Santa in their front yard come March! 1. Let reason rule - Reasonableness is almost always the key to successful community management. 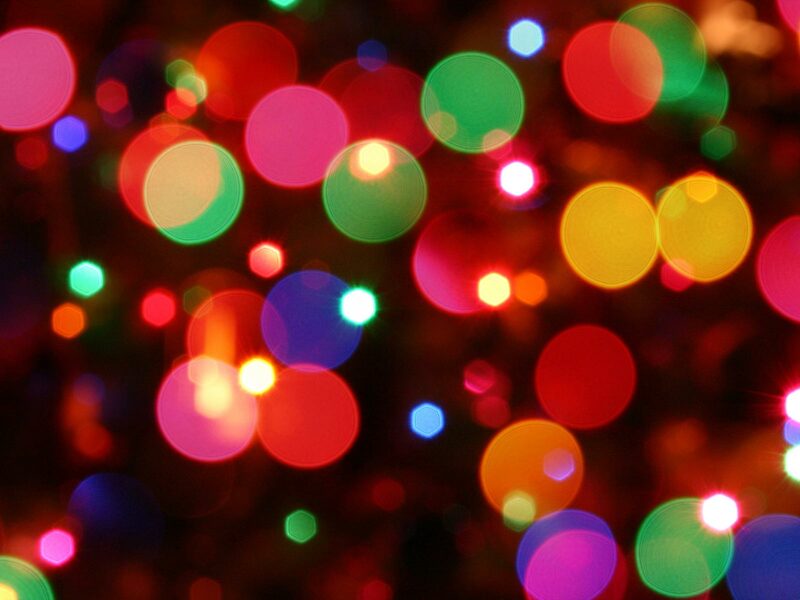 What is your community's goal when it comes to regulating holiday lights? 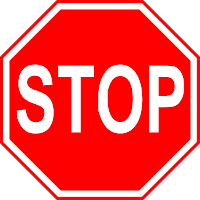 If your association is considering adding restrictions - start with the goal and then work backward. This will help ensure that you don't enact too-strict restrictions, when more relaxed rules will get the job done. For example, if all you want to do is make sure that holiday lighting isn't over the top in your community, an outright ban is entirely too harsh. 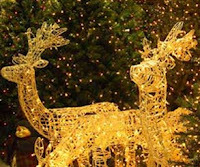 A more appropriate approach might be to focus your restrictions on the size and timing of holiday displays. 2. 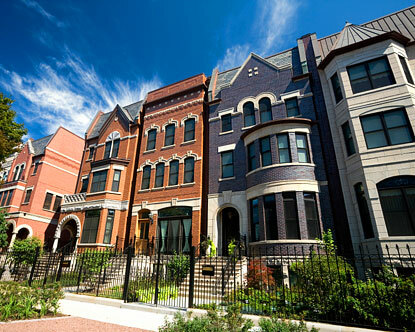 Reserve your rights - It's hard to define what's 'over-the-top' before a homeowner actually goes there. This obviously can be a problem when it comes to enforcement. As a result, it's smart to include the right for the HOA's architectural review committee to approve (or disapprove) holiday displays. That way, if an owner includes a feature that was never anticipated by the Board - but that's clearly not something your community approves of - you can ask for it to be modified or removed. 3. Consider what's too much - Generally, the most effective rules are those that specify when holiday decor can be put up and when it must be taken down. For example - decorations can be put up no sooner than 30 days before the holiday and removed no later than two weeks after the holiday. Rules can also include restrictions on the scope of the display (think Clark Griswold's house in National Lampoon's Christmas Vacation). Some associations allow only a certain length of lights (ex: 100 total ft of lighting). 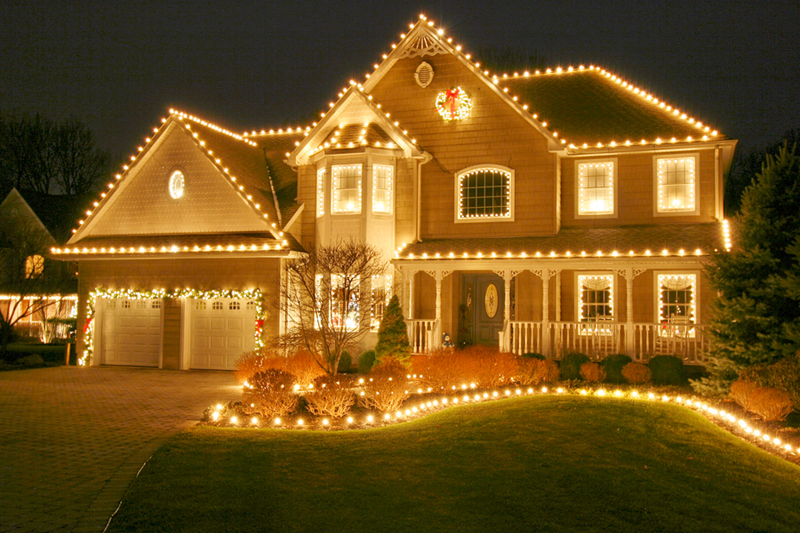 Others limit the areas on which lights may be hung (ex: along the roof line, front door, front windows, and one tree in the front yard). An association may also want to consider roof-anchored display restrictions (ex: inflatable Santas and reindeer) and sound restrictions (an all-out ban or restricting to certain hours - to keep from disturbing neighbors during the night). 4. Remember the spirit - Although it is important for your association to retain it's aesthetic integrity - its also just as important to act in the spirit of the season and choose your battles wisely. If a homeowner is an active and good neighbor throughout the entire year and revels in holiday decorating, you have to ask yourself whether or not the display is so outrageous that it's worth dampening that neighbor's year-round goodwill. In many cases, you'll find you're better off smiling and enjoying the display in the spirit in which it was intended. Halloween is over, so it's time to start thinking about the holidays! •Do not leave valuables in your vehicles - especially computers, electronics or wallets. •Do not store presents in the garage or in a vehicle. •When possible, keep all vehicles in a garage and keep the garage door closed. •Keep all windows and doors locked – both to your vehicle and to your home. •If you have an alarm – use it! Consider installing a system if you do not currently have one in place. •Only turn on Christmas tree lights when someone is home. 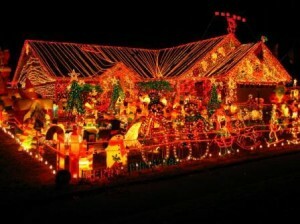 •Use outdoor lights as a deterrent. Motion-detector spotlights are great! 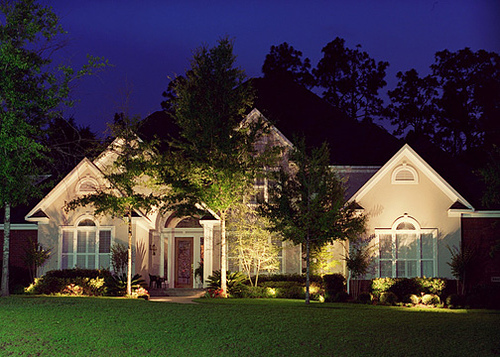 •Place all outdoor lights and some indoor lights/TVs on timers when you are out of town. 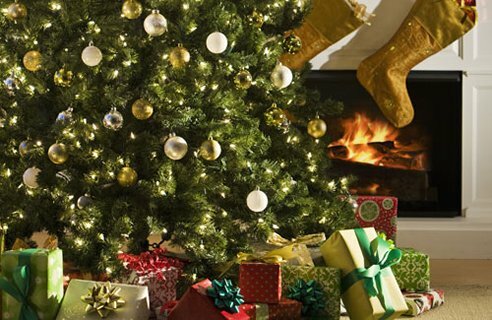 •Take a reserved approach when displaying expensive decorations and gifts – if they can be seen from the street, there is a good chance that these valuables could end up on a burglar’s wish list! •After the holidays – be careful when discarding empty boxes from items like computers, flat screen TVs, etc. Instead, break them down, put them in large bags, and place them in your recycle bin or trash can. Another option is taking them directly to the recycle center. 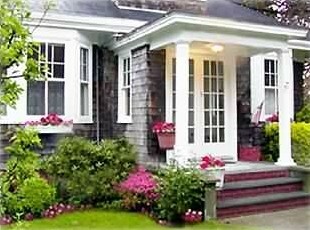 •Keep plant material pruned below window level. Also make sure large bushes, hedges, and trees are kept pruned to avoid giving burglar's easy hiding spots in your yard. •Do not store ladders outside where they are easily accessible. •Shred all documents that may contain personal information before disposal. 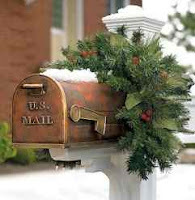 •Arrange to have your mail picked up or held when you are out of town. Stop newspapers or have them picked up. •Do not use your mailbox for outgoing mail. Drop all mail in a U.S. Postal Service mailbox. •Let a trusted neighbor know when you will be out of town. Make sure the neighbor has your contact information in case of emergency. •Let your local police department know you will be out of town. Most police departments will add the home to a watch list and check the property a few times while you are out of town. •Do not open your door for people you are not expecting. •Be aware of your neighbors and surroundings. •Report all suspicious activity to 9-1-1 immediately! Obviously, some of these tips apply throughout the entire year and not just during the holidays. However, preventing break-ins by increasing your home security during the holidays should be part of your plan during the busy and wonderfully hectic season of shopping and gift-giving, decorating and celebrating with friends and family. Don’t let an incident, like a burglary, dampen your holiday season! News stories and reality TV shows about compulsive hoarding behavior, or Collyer’s Syndome, are appearing more and more frequently. While the contents of these collections may appear humorous or even entertaining, there is nothing funny about the potential life and safety issues impacting the hoarder and his/her neighbors. Many times, the items hoarded can essentially be considered garbage - which attracts pests and creates a stench that permeates nearby homes. The collection also creates a greater likelihood of fire and blocks pathways inside the home that are used by emergency responders providing assistance. While the governing documents of many Associations may prohibit unsanitary conditions, actual enforcement is another matter. When a situation has become so serious that the Board of Directors takes notice, the lengthy notification process for the Association to take action is likely a roadblock. 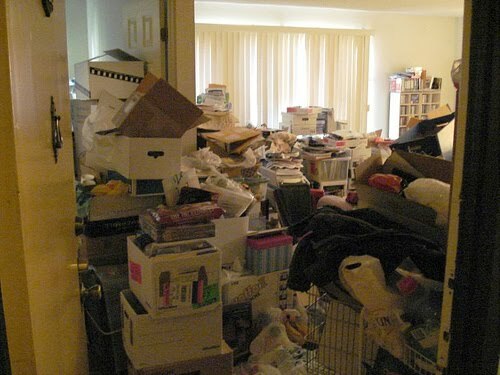 Depending on how entrenched the hoarder is, the Association may have to obtain a court order permitting entry into the home. A far faster solution is to notify the local governing agencies, such as Code Enforcement, Adult Protective Services, or the Fire Marshall. Generally, they will be able to respond more quickly to head off a potential disaster. Unfortunately, some governing agencies can also be slow responders, or may shy away from confrontation due to media coverage. 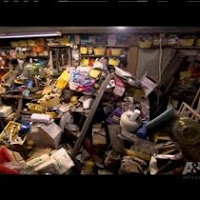 If this occurs, the next best step is to locate family relatives who may have some sway with the hoarder, and can see that he/she is provided with mental and medical assistance. This too may be a slow process, depending on whether a competency hearing must be held before the family can act. No matter the direction the Board chooses, the Association’s attorney should be involved in the process every step of the way, advising how to proceed with minimum legal exposure. Be aware that the Fair Housing Act may protect the hoarder due to his mental condition, and the court might require extended attempts to have the hoarder reduce his collection before finally concluding that the situation is no longer tolerable. 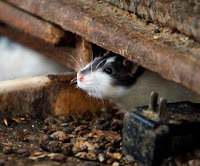 Throughout the ordeal, the Association should maintain detailed records of hoarding conditions and what actions were taken to resolve the problem. If the unthinkable happens, and multiple homes are damaged, these records of action will be critical in protecting against any claims brought against the Association. 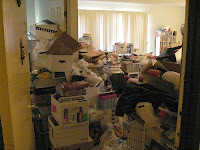 Hoarding behavior is a serious situation that cannot be ignored. If you receive reports that such activity is occurring, act promptly to ensure the best possible outcome for everyone. Do not appear at the deposition without the presence of legal counsel.Notify the Association’s attorney, and follow his/her advice. Get with the attorney prior to the deposition to orient yourself. Do not bring any written materials with you unless your legal counsel advises otherwise. Anything you bring can be used as an exhibit in court. Dress comfortably and take breaks – some depositions last four or more hours. Do not hold discussions with your attorney during breaks – these may not be protected under attorney-client privilege. Legal proceedings can be intimidating, since you are in an unfamiliar environment operating under an arcane set of rules. Do not allow the opposing counsel to “set your mind at ease” because of this situation. During the deposition, the opposing counsel may admonish you or ask questions on seemingly unrelated topics (for example – by asking “what medications you are taking”). Just make sure that you maintain your cool. Focus on the reason for the deposition. You don’t score points against the opposing counsel. Don’t waste time attempting to persuade or charm. Take time in answering questions to avoid contradicting yourself. This is not the venue to “tell your story”. Keep your responses brief. Don’t expound or speculate. Answer the question as directly and concisely as possible. Avoid the urge to help end the deposition quickly by volunteering information. Although you have nothing to hide, providing additional information only creates opportunities for the opposing side. The best answers are: “Yes,” “No,” “I don’t know,” “I don’t recall” and “Please rephrase the question.” If the opposing attorney asks if you know what day of the week it is, the correct response is “Yes,” not “Monday”. If videotaping is involved, dress and conduct yourself as if it will play on the nightly news. Your body language and level of confidence will only be exaggerated in the recording. Again, depositions are not uncommon within this industry. As a board member or a manager, the question more than likely is “When?” you will be called to your first deposition as opposed to “If?” As a result, preparation is absolutely key. 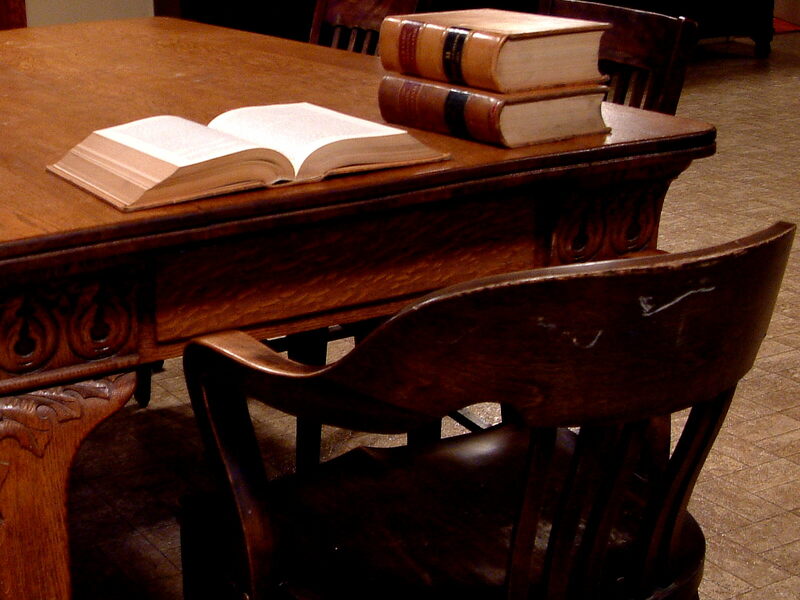 If you are unsure about any of the topics touched on above, or have any questions regarding depositions, make sure that you contact your Association’s attorney. Boards frequently face the issue of directors who only attend meetings on a sporadic basis; fail to be prepared for the meetings; or who spread disagreements in the community about Board decisions. These items can create issues not only for the entire Board, but can also cause some serious concerns for the individual involved. Missing multiple meetings, even if not consecutively, is unacceptable. Due to the potential liability involved (missing meetings is a violation of duties), these individuals should resign to protect themselves (and the Association) from lawsuits by homeowners. At times, the Board deliberates in private, but must show a single front supporting decisions regardless of individual votes. Not doing so can potentially result in losing insurance protection and needlessly exposing the Association to lawsuits. The Directors & Officers insurance coverage may not extend to Board members who show a pattern of missed meetings (typically three meetings missed in one year), as well as those who fail to fulfill their other obligations (such as preparing for the meetings in advance and voting on all matters, rather than abstaining). This means that the individual director will need to find some other means to finance a legal defense. This loss of coverage is happening more frequently in recent years and is obviously a big concern!  Duty of Loyalty - You are required to place loyalty to the Association above other interests. You must minimize potential and actual conflicts of interest. 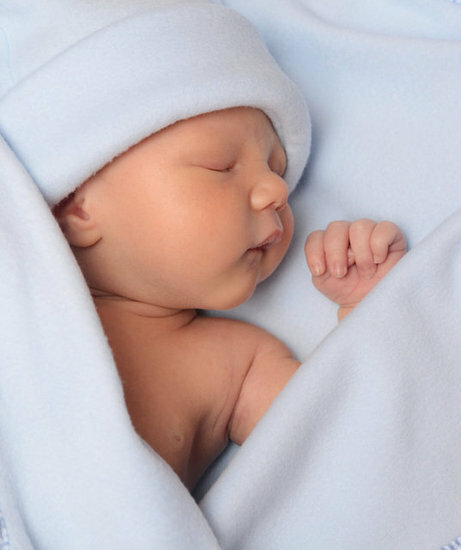 This area also covers the obligation to maintain confidentiality.  Duty of Obedience - This one is the least known, but was laid out in a Georgia Supreme Court ruling (Shorter College vs. Baptist Convention of Georgia). It requires that directors of non-profits ensure that the mission of the corporation is carried out. You must be faithful to the purposes, mission and goals of the Association. As always, consult with the Association’s legal counsel and insurance agent to clarify the above information for your particular situation. We, at Access Management Group, do what we do because we are passionate about helping people by fostering strong, harmonious and beautiful communities. That passion doesn't end when we shut down our computers and walk out of our office. 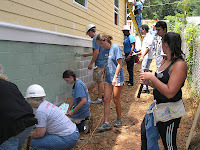 We also choose to also get involved through local volunteer organizations to continue giving our all. It was a great feeling to be able to give back to the community while volunteering with co-workers. 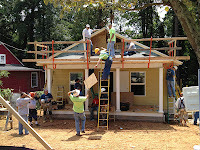 Coming together to help someone realize the dream of homeownership was a feeling that is beyond description. 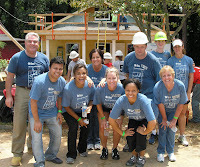 By the end of the build, we were all so excited that we probably could have worked on the surrounding houses, too! 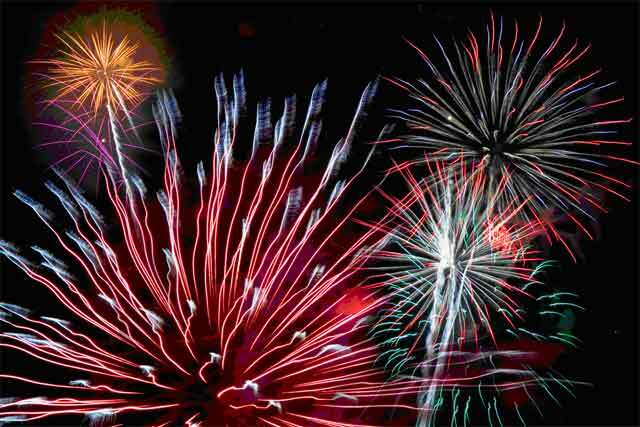 Make Your Annual Meeting a Celebration! It’s that time of year again! 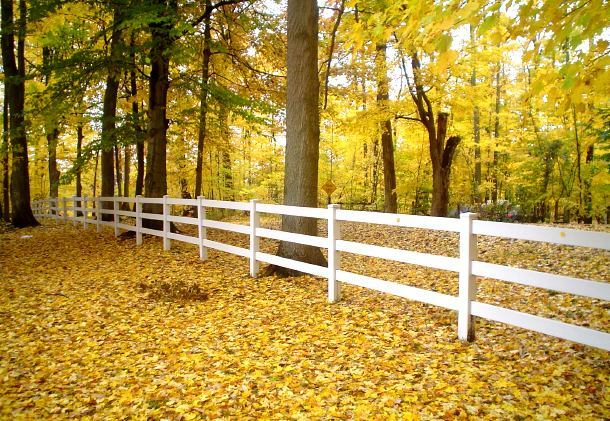 Fall leaves, crisp air, budgets, and not too far behind…. the Annual Meeting. Managers and board members are sometimes apprehensive about whether or not the meeting will veer off course to conversations filled with angry accusations and criticisms. Instead, challenge your community to celebrate at your Annual Meeting this year. This is a great time to reflect on the year of events that you've shared as a community and to find the good. Even the failures can be made into educational springboards for next year successes. If you take a moment to review your management reports, work orders, and invoices - you will always come across at least one project (that you may have even completely forgotten about) that is sitting there, waiting to be celebrated! When hosting the meeting, it’s a best practice to keep refreshments to a minimum. Alcohol and big food spreads are never recommended. Your meeting is just that- a business meeting; not a social event. Your goal should be to have things flow smoothly and quickly, and if neighbors want to plan a social event to be held afterward, great! Now you are probably asking yourself “How do you celebrate in the meeting?” Here are a few tips: Highlight how certain projects improved the community through increased value, livability, or provided cost savings. Again, items that went terribly wrong - such as a major insurance loss - can even be acknowledged. But make sure that you are reminding everyone of the key brief facts surrounding the issue and then noting what measures have been put in place (or will be put in place) to make sure the community is in a better position to respond in the future. 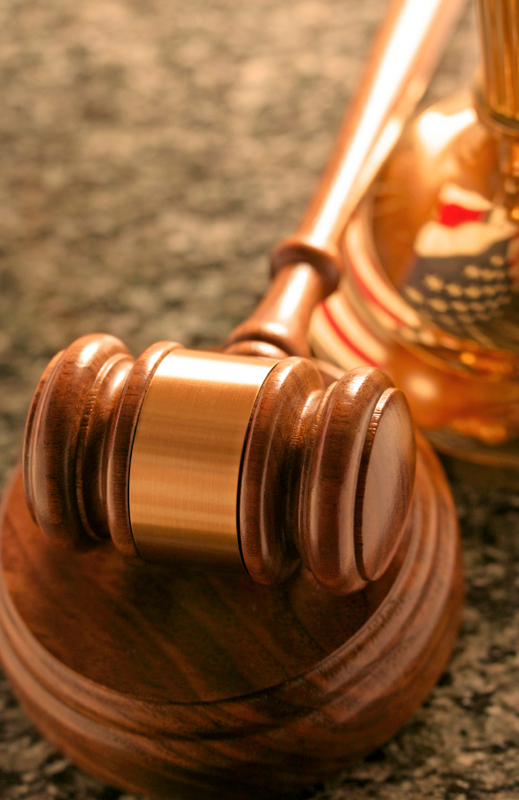 If you are apprehensive about liability for discussing certain topics, consult your legal counsel first. 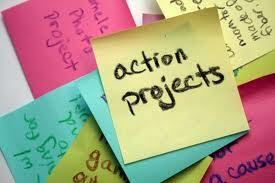 Once you've highlighted completed projects, you can reveal the new Capital projects slated for the upcoming year. Select one or two planned projects and discuss why these items were approved, what quarter they are anticipated to be completed and provide some education on these projects. Always recognize your board and committee members, publicly thanking them for their hard work and dedication to the community. Take a moment to recognize those members who have gone above and beyond to improve the community. Last but not least…thank your membership for attending and taking the time to participate in your community’s end of year celebration! Board service can, at times, be a challenging responsibility - and Board members can become easily frustrated at the lack of trust and respect from homeowners. Even with a good communication program in place, showing how Board decisions and actions add value to the Association, the negative responses can continue to flow. This is one of the main reasons that prevent board members from wanting to serve additional years on an association Board. It takes a lot of good memories to make the bad ones fade. If your Board has a history of mediocrity or poor performance, it can take several years of solid operation to erase ill-will. You will continue to be lumped in with past Boards until you have created an enduring narrative displaying otherwise. Four or five years of positive leadership may be required before this occurs. During this time, fresh faces are added to the community and some long-time residents experience life-altering events (retirement, children, health) - all providing the Board with a new chance to cultivate volunteerism. Don’t let these be missed opportunities! If you are always “on message” and consistently act in a positive manner, the doors will open at unexpected moments, providing that edge to boost your Association to the next level. All things have different growing seasons, and while the time it takes to grow a productive neighborhood is measured in years, the rewards go beyond the month-to-month and year-to-year accomplishments you gain as Board volunteers. Strive to establish a legacy of expecting only the best from future Boards! In the U.S. Supreme Court case of American Society of Mechanical Engineers v. Hydrolevel, the justices concluded that a nonprofit association could be held liable for the actions of its officers, directors & volunteers - even when the association did not know about, approve or benefit (as long as the volunteer appeared to outsiders to be acting with authorization). In this particular instance, a volunteer chairman issued written responses to another company, making assertions that were not supported or approved by the association. Community associations must take steps to outline the authority of each agent, regulate access and use of things such as letterhead, a community logo or community website, and immediately act when it sees unauthorized activity. A typical example is that of a former Board member who continues to interact with vendors or government officials as if he were still on the Board, directing or influencing others based on this false perception. Nefarious actions are not limited to former volunteers. Disgruntled homeowners or vendors may choose to act on behalf of the association as a means of retaliation. It is vital that social media and other forms of public communication be frequently reviewed to detect and respond to such activity, before the situation becomes expensive. In this Supreme Court case, the Association ended up paying $6 million (in 1982) in damages and legal expenses because of one person’s unauthorized actions – be sure your community does not face the same exposure! 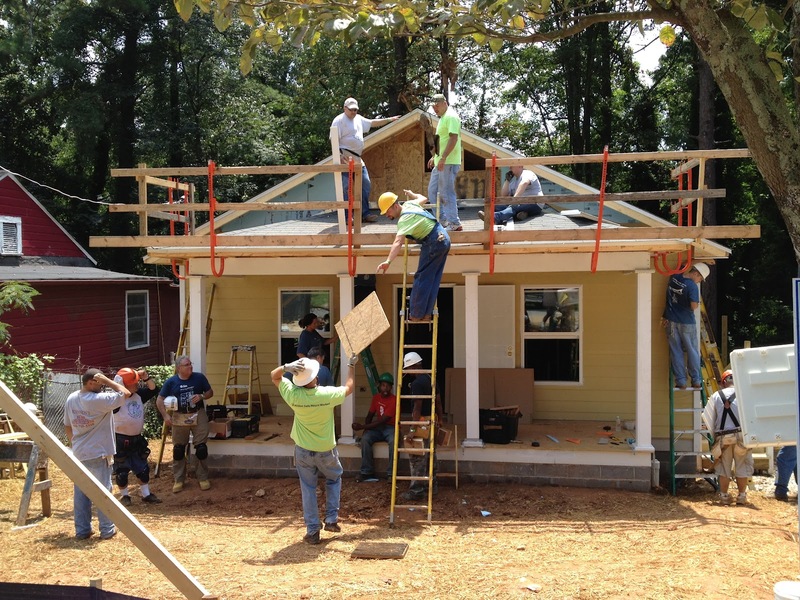 Without these volunteers, consistency within the community would not be possible. 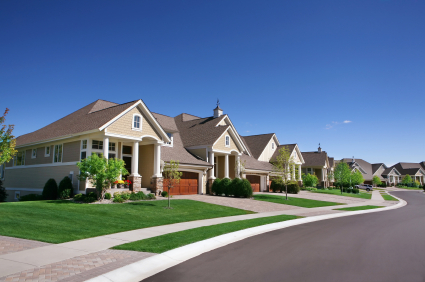 This consistency is important, not only to ensure fairness between neighbors, but also to protect the investment that each homeowner has made within the community! Unfortunately, most volunteers do not understand the full scope of their duties when first stepping up to serve. It is critically important that training is mandatory and that it occurs prior to or immediately upon joining a Board or committee. Without a mandatory program, less than 5% of members tap educational opportunities to protect both themselves and their Association. Whether someone is too busy with “real” work or is a “one-issue” candidate (i.e. they volunteer, but intend on walking once his/her pet project is addressed) the price for not being trained is too high to be ignored. As in any elective governance, it is ultimately up to the individuals in the community to be aware and remain involved – a sort of checks and balances system. The price for incomplete or insincere leadership will be paid for by all. 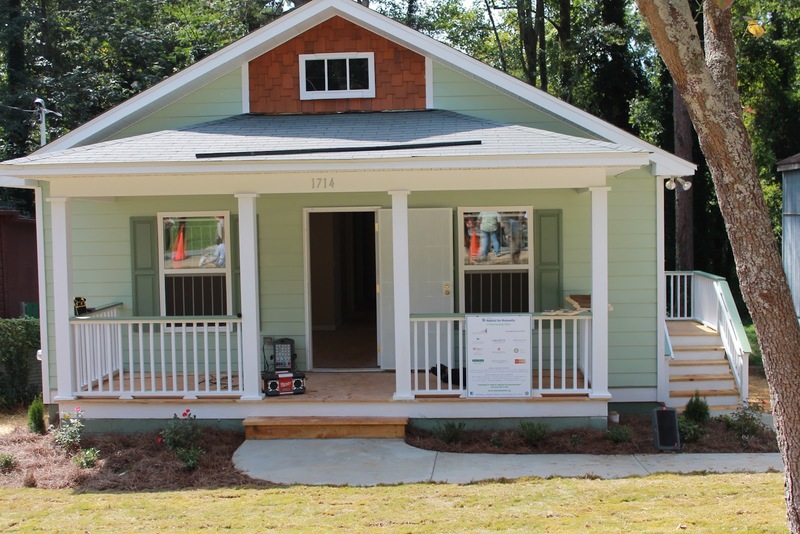 Educational opportunities extend to homeowners, too. For example, budget season is now in session. By providing the association membership with a comparison of what each home is paying (on an annual basis) for services, as compared to what it would cost if the homeowner lived in a single family residence outside of an association, the Board or committees can provide perspective on the reasonableness of annual assessments. In many instances, the savings via collective purchasing power gives owners a new appreciation for the benefits of community living. This is a reminder that doesn’t hurt to be reinforced every once in a while. Ultimately, it is all about creating a culture and expectation of constant education in the community that will diffuse conflict and give rise to responsible volunteerism. New residents often ask about the oversight structure for their new Association. It can be a little overwhelming to determine who does what. 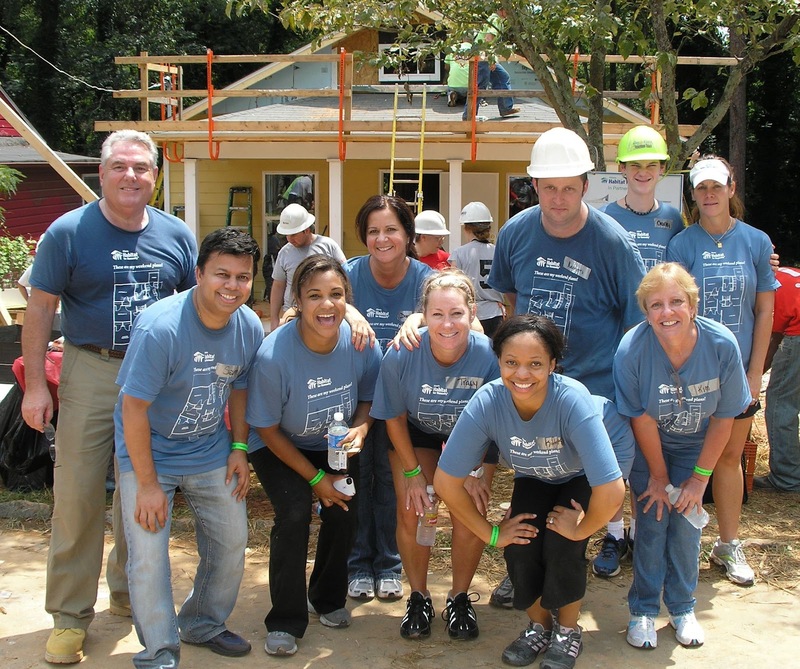 At the top of the organization, commonly known as the Board of Directors, is the group of homeowners who have volunteered and been elected to handle the “big-vision” of the community. Directors usually serve staggered two or three year terms, with a couple of positions vacated and filled each year. This also ensures the continuity of institutional knowledge (so that future Boards learn from the experience of previous members). The Board is tasked with maintaining a long-term outlook for the community – focusing on the forest rather than individual trees. On behalf of the Association, they contract out with various specialists to implement this vision. The primary agent utilized to coordinate day-to-day operations is the Association’s property manager, whose position is analogous to a city manager. This individual is answerable to the corporate entity (the Association) through the representatives serving on the Board. Another way the Board stays focused on big picture items is through the creation of committees to focus on specific areas - such as pet issues, social events, architectural controls, etc. The Board and its committees are also tasked with distributing all this information (typically done via a newsletter). These committees periodically report to the Board with actions taken and recommendations on handling certain issues. Committees provide great strength to community - more involvement provides better and more flexible solutions by tapping into the interests and talents of our neighbors. At the bottom of the structure is the Association itself, which is only as good as the combined efforts all the parties listed above. 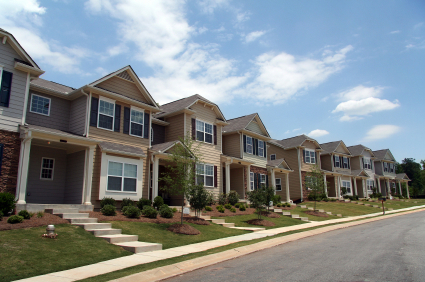 Contact your property manager today to make your community a better home for all!